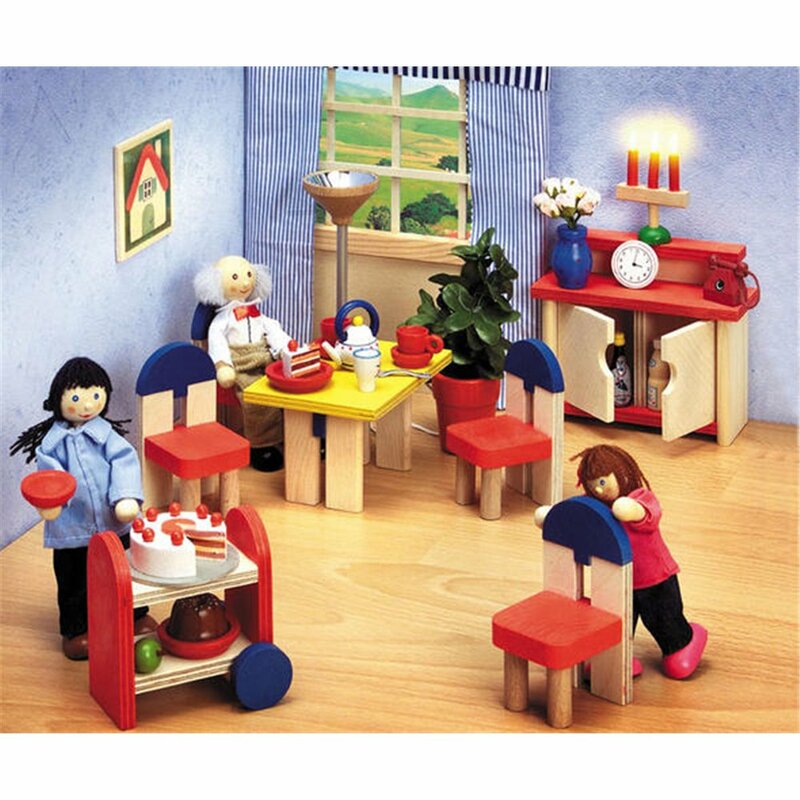 A complete range of doll's furniture! 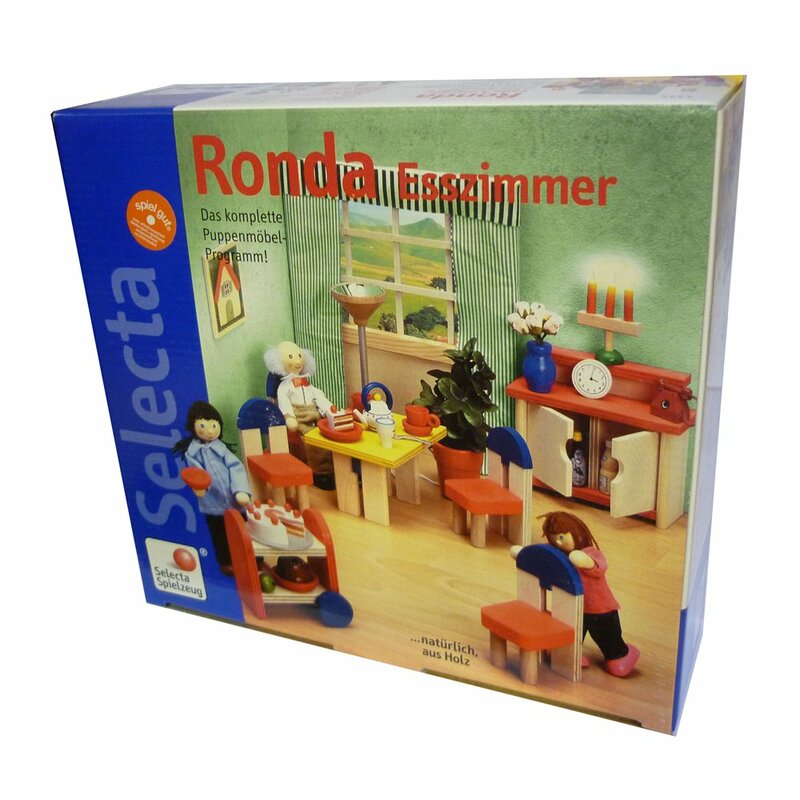 The Ronda collection has its own distinct style and supplemented with many accessories and dolls is a super play experience. The dining room: to enjoy Mother’s excellent cooking. All those delicious dishes can be rolled in on the practical serving trolley. Take your seats! There’s enough cake for everybody! 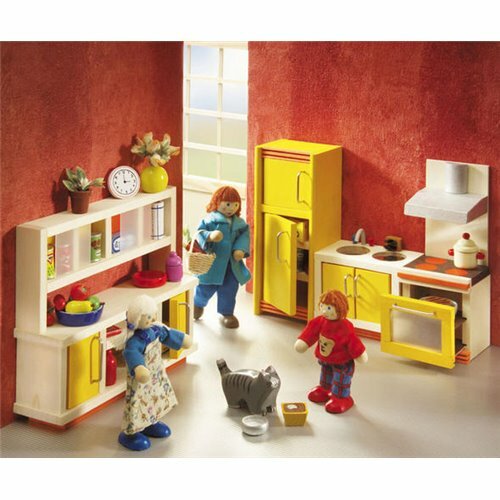 Includes: 1 dining table, 4 chairs, 1 serving trolley, 1 dresser and 1 picture. The dresser is 11,5cm. wide.